Hi there! 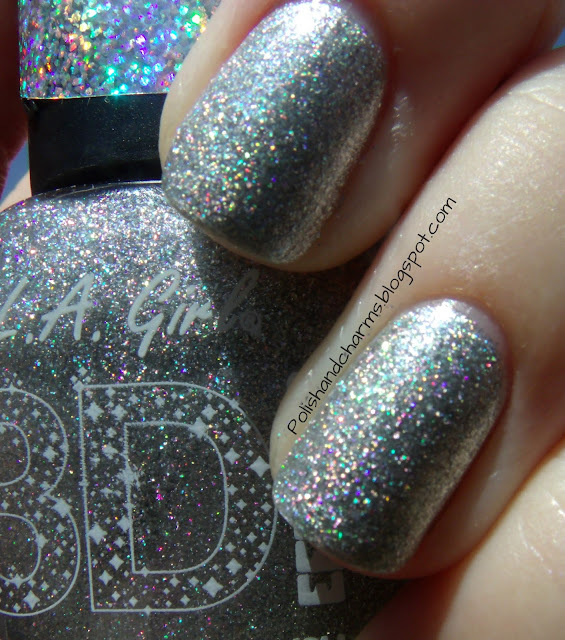 I have another LA Girl 3D polish to share with you today! This is 3D Silver and I am just going to let the pictures do the talking! I layered this over a basic silver. Enjoy! Wow! This one is amazing. I need to find it! This silver looks just as amazing as the blue one! Gorgeous! 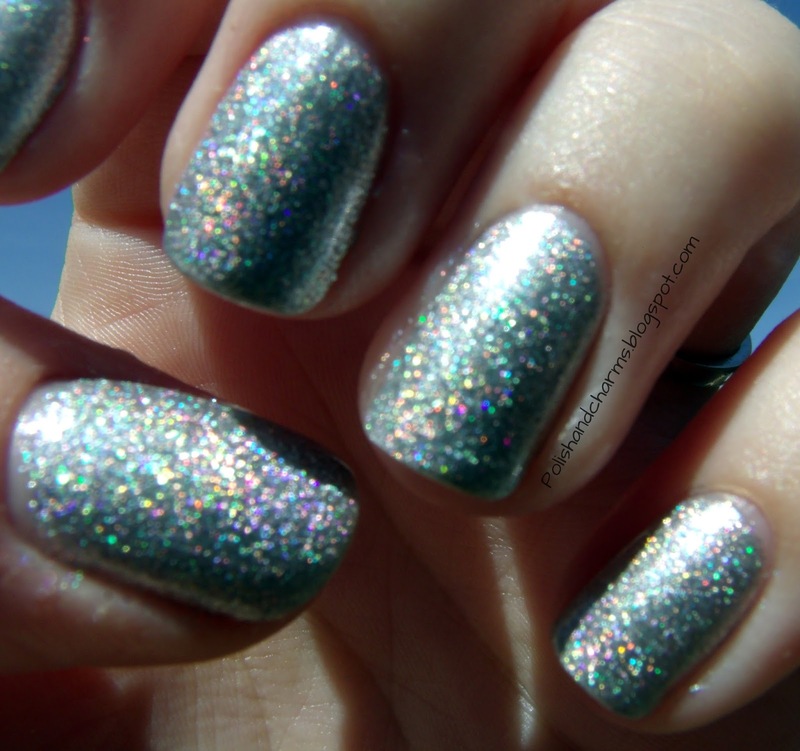 I love the holo in this! It's a party on my nails!